A slab of 100 percent pure Himalayan salt on a beautifully crafted rosewood base. When lit, our Himalayan Salt Hand/Foot Dome emits a gentle light and radiates warmth from its smooth salt surface.When you’re not using the dome for detox, it doubles as a beautiful Himalayan Salt Lamp with an emotionally uplifting, earthy glow perfect in any treatment room. 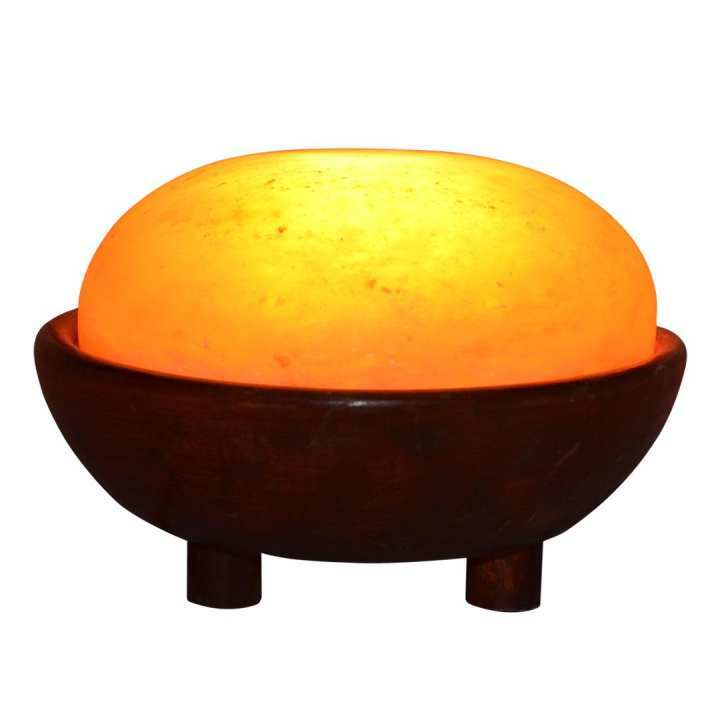 As the Himalayan salt is heated, either as a detox dome or lamp, negative ions are produced to remove oxidative stress for your clients and therapists, purify the air and promote a sense of well-being.Heated Himalayan salt provides purifying and detoxifying effects with the skin it comes in contact with and the surrounding environment. Emits abundant negative ions to deliver a myriad of health benefits, from higher mental alertness to protection against germs in the air.